Paul enlisted in the Army 26 February, 1949, took Basic at Fort Ord, CA with the 4th Infantry Division, attended Fort Monmouth, NJ Signal School in 1949-50. After completion of schooling he was assigned to the 581st Signal RR Company at Camp Gordon, GA. The Company arrived in Korea in early August 1950 at the invasion of Inchon. He spent his time in Korea setting up various radio relay stations at about 12 different locations. The most time were spent on Jade Relay #2 in North Korea, Hill 775 and Hill 1157. He left Korea near his birthday, in 1951. He then was assigned to Camp Cooke, CA with the 44th Illinois National Guard Division. His job there was giving Basic Training to the troops before they went to Korea until Uncle Sam gave him his freedom on 20 June 52. 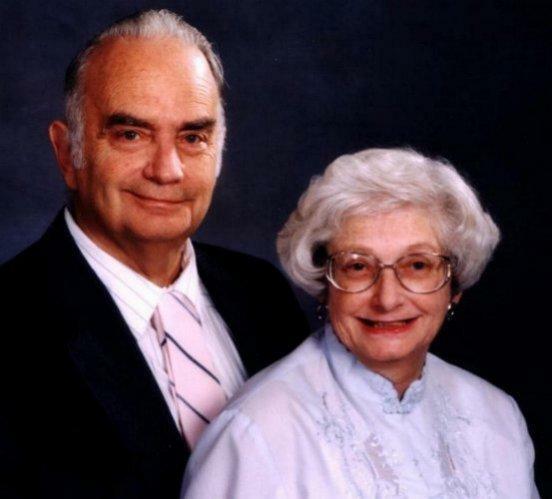 He is pictured here with his lovely wife of 57 years, Bernice. They now live in Eugene, Oregon.